I am a huge fan of Settlers of Catan. My cousin first introduced me to this game years ago, long before the newest wave of table games became popular. The game was so simple to play, yet there ia strategy behind it kept us coming back time and time again. The only thing that kept me from getting the game myself is it is not cheap. Of course, neither are video games, but that is another matter. There is a cheap way to play Settlers of Catan, however. Big Huge Games has released a version on Xbox Live called Catan. Can the electronic version live up to my memories of the game? What the heck is Catan? If you are familiar with the resurgence of table top resource management gaming, you are probably very aware of the gameplay behind Catan. In essence, it is pretty simple. 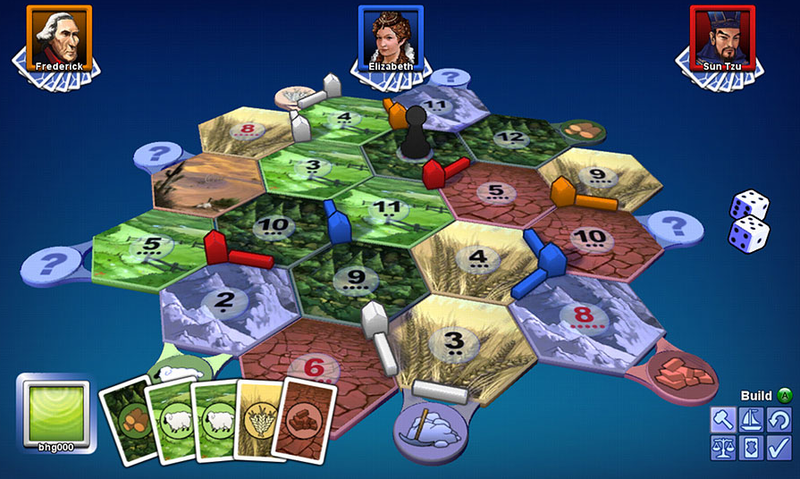 A group of hexagonal game pieces representing land are set up randomly, with water and harbor pieces surrounding them. These land tiles each represent different resources: forests for lumber, clay for brick, wheat fields for grain, mountains for ore and grassy plains for wool. There is also on tile representing a desert, which fittingly does not give out any resources. Numbers are then randomly placed on the tiles from 2-12 minus the 7, which represent numbers you can roll on two dice. Players then get to place their first two settlements and roads, trying to set up where they can get the best combination of resources for the most common die rolls. One more piece is put on the desert tile, a black piece representing the the thief. Players take turns rolling the two dice, and anyone with a settlement attached to a tile with the number rolled gains one of that resource. For example, if you have a settlement on one of the corners of a clay tile with an 8 on it and an 8 is rolled, you get one clay resource card. If you have two settlements on that tile, you get two, and so on. If a 7 is rolled, the player gains control of the thief, and he can move it onto a tile his opponents are connected to, effectively blocking the number of that resource and allowing him to steal a card from that player. 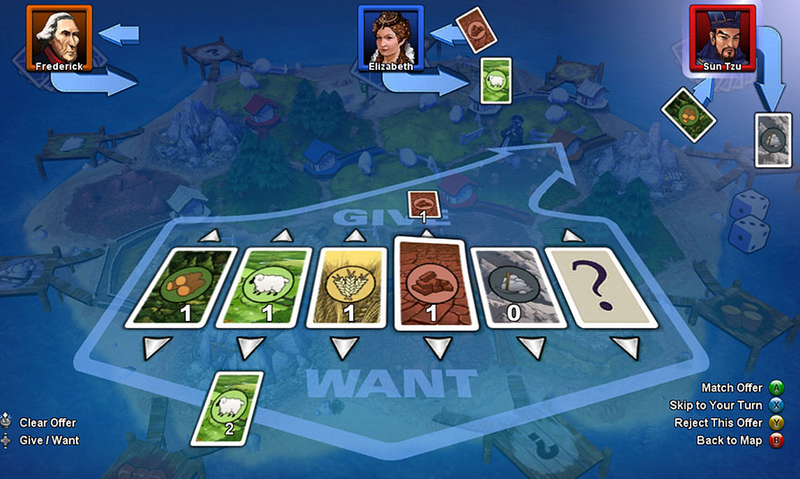 Catan is an Xbox Live Arcade game that will have you coming back for more. After the resource gathering faze, players can try trade for resources with other players in the game. You want to do this because you need various amounts of these resources to build settlements; roads, which are needed to build more settlements; cities, which replace settlements and give you twice the resources; and Development Cards, which give you either soldiers to repel the thief or victory points. The winner of the game is the first to ten points, with settlements counting as one point a piece, cities as two, victory points as a point each and bonuses for largest army and longest road. Seem simple enough? Actually, there is a lot of strategy to the game, from whether or not to accept trades to trying to take bonuses away from other players so they get further away from the ten point mark. Catan is one of those games that is easy to learn but difficult to truly master. So does the Xbox Live version of Catan live up to the table version? In a word, YES! So did the description above interest you in playing Catan? If it did, you need to download the game. You see, while Settlers of Catan tends to run upwards of $30.00, Catan on Xbox Live only costs 800 points or $10.00, and you don’t have to spend all the time setting it up to play. That’s not the only reason to pick up the game, however. You can play against up to four opponents, both AI controlled and other Xbox Live Gold members. 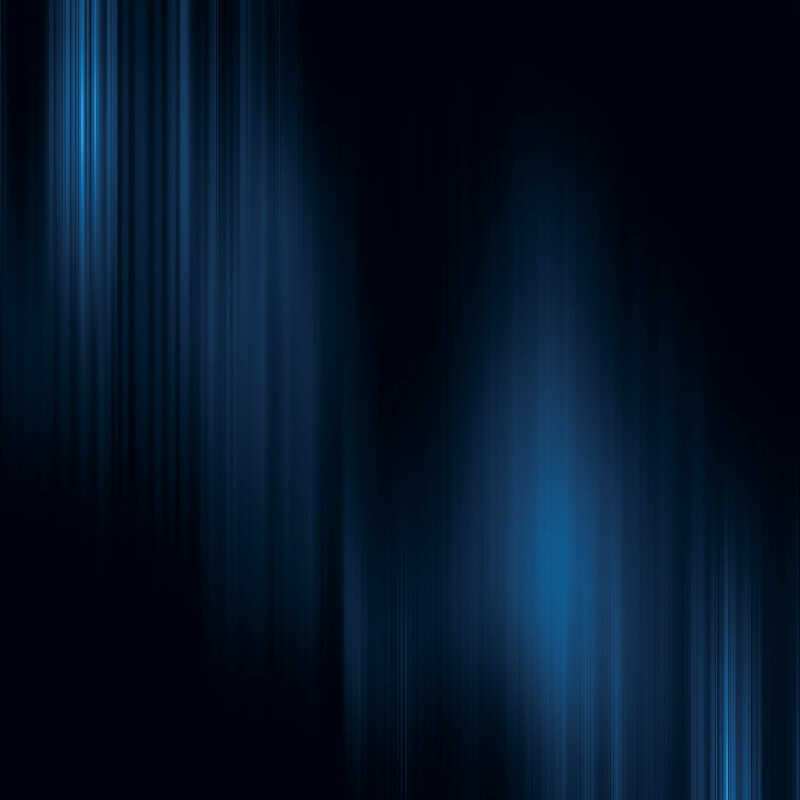 The AI is you face is represented by different characters in history, including Cleopatra, Abraham Lincoln and Sun Tzu. You can set the difficulty of the AI as well as interact through emoticons throughout the game. Big Huge Games did a fantastic job of capturing the feel and strategy of the game, giving you the chance to trade with your opponents, gain resources through the use of ports and skillfully choose just where to place the thief. There are also colorful animations and hilarious sound effects; nothing is quite as funny as hearing the sheep bahing as they are dunked in the watter when trading them in a port. In the end, Catan is a lot of fun. If you enjoy playing electronic versions of board games, you will find Catan to be quite enjoyable. It gets a 4 out of 5. This entry was posted in 30 Reviews in 30 Days, Reviews, Xbox 360 and tagged big huge games, catan, review, settlers of catan, xbox live arcade. Bookmark the permalink.